Summary Capsule: A back-from-the-dead short loosely based on The Hobbit resurfaces after almost half a century. I’m buying the world’s thickest earmuffs in anticipation of when this causes every Tolkien fan on the planet to simultaneously explode. Heather’ s Rating: The “bizarre” factor is off the charts. Heather’s Review: A few days ago an oddity was released upon the world that, as I write this review, is exploding across the internet. Gene Deitch, director of the Tom and Jerry shorts produced between 1961 and ’62, wrote a blog about a short he directed for producer William Snyder back in 1966. 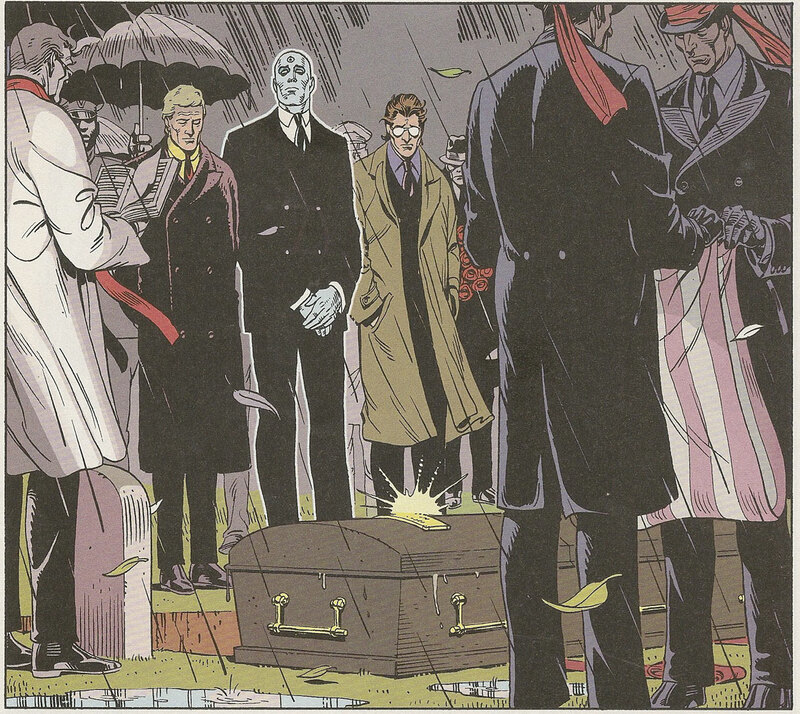 The short, thought to have been destroyed, was returned to Deitch by Snyder’s son and then uploaded to Deitch’s blog. The big deal, for those of you who somehow managed to start reading this review without noticing the title, is that it’s about J.R.R Tolkien’s The Hobbit. The even bigger deal about that is, having been made in 1966, it’s the world’s first adaptation of Tolkien’s stories to the big or small screen, as it predates Rankin-Bass’s version by eleven years. He changed a lot of the character’s names. Smaug=Slag; Trolls=Gromes(? ); Gollum=Galoom? Gallome? Honestly this one might be the narrator’s mispronunciation of the name. Regardless, it does not sound like Gollum. Smaug is killed by the Arkenstone. I’ll expand on that later. Deitch added a princess. And Bilbo marries her. Oh if you could only see your face right now! It’s hilarious, I assure you. Just go look in the mirror. I’ll wait. 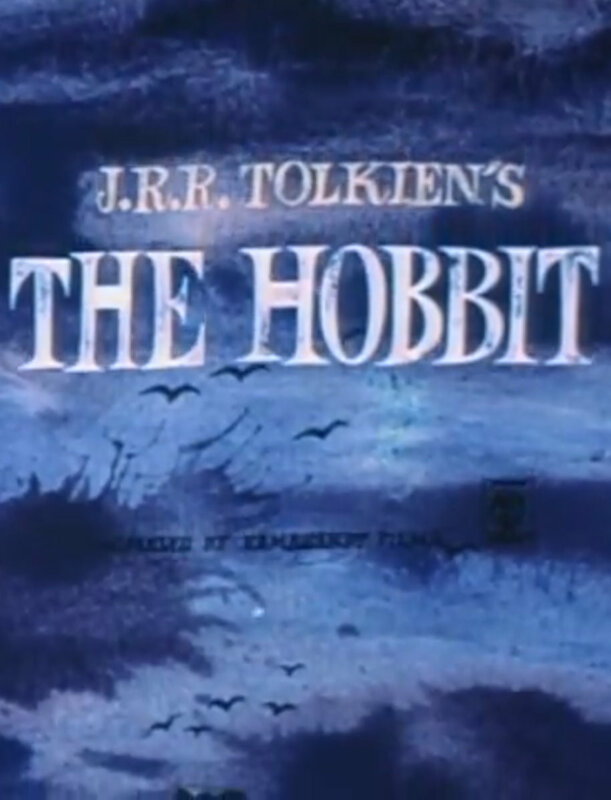 Snyder (the film producer Deitch worked with) acquired the rights to Tolkien’s story for practically nothing back in 1964 and approached Deitch about doing a screenplay for an animated feature-length film. The right would expire on June 31st, 1966 should they not produce a film, so Deitch got right to work. January 1966 rolls around and Snyder blows the deal with 20th Century Fox by demanding too much money. Other studios didn’t recognize Tolkien’s name and weren’t interested, so the project was dropped. Four months later Deitch gets a call from Snyder saying Tolkien’s popularity had gone through the roof, and so had the worth of the film rights. The only way Snyder could retain and sell those rights was if he made a film by the deadline, which would extend his rights and allow him to sell them back for a tidy profit. If you’ve been doing the math, you’ve already realized that left Deitch thirty days to condense his screenplay, get the artwork done, record voice and music, shoot it, edit it, and get it to a New York projection room (from his home in Czechoslovakia)! This would have been a complete impossibility for many people, but Deitch had a couple of things on his side: A group of talented individuals and a giant loophole in Snyder’s contract. The Tolkien estate lawyers’ ignorance of film terminology lead to the simple stipulation that Snyder produce “a full-color motion picture version” of Tolkien’s book. Notice it doesn’t say that it has to be animated, or how long it has to be. Deitch grabbed his friend Herb Lass, a radio broadcaster, for the narration and all the voices; renowned Czech illustrator Adolf Born for the artwork; and some music from his composer friend Vaclav Lidl. The man accomplished the insane, and the results are hard to describe. Herb’s voice is pleasant to listen to, though at times doesn’t seem to have the right emphasis at all and drops in clarity and volume in places. Adolf’s artwork is lovely, and Deitch’s camera tricks help add the illusion of animation. It’s pointless to try to describe all of the plot issues. It’s a twelve-minute condensed version of The Hobbit with a princess, where Bilbo MacGuyvers a giant crossbow, then affixes the Arkenstone as an arrowhead and fires it into SlagSmaug’s heart. Oh and Bilbo marries the princess of Dale and rules with her for a short while before they return to the Shire. Eat that, literary respect! In all seriousness, this was a tremendously impressive feat and is entertaining to watch for multiple reasons. Watch it and read the full bizarre story of Deitch’s, on his website. Deitch, in order to fulfill the part of the contract where he needed to show this in a theater, asked six people if they would pay ten cents for admission. Every one that did, he gave a dime to and then took it back as pay. He did this with six people and, after it was shown, had each of them sign a waiver stating that they’d seen it. So did the ground just open up and swallow Bilbo? That part makes so little sense. MacGuyvering: Not just for Man anymore. The Watchman character and Thorin Oakenshield look like pirates. Deitch and his team saw none of the money Snyder made off of this film, which was $100,000 ($700,000 in 2012 money). 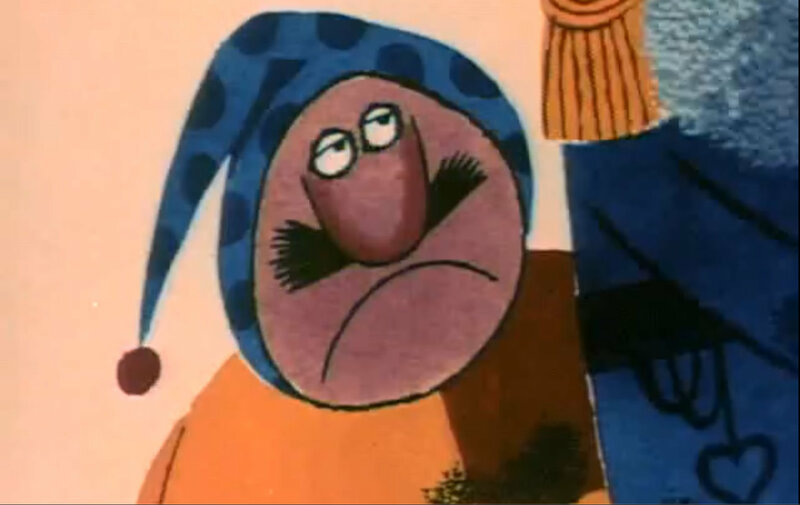 Jiří Trnka (famed Czech artist) was to be the designer of the full length project, and had already made some fantastic sketches when the project was canned. Supposedly Deitch will be sharing those soon. If you haven’t seen his work, look it up and think about how amazing that would have been. The princess’s name is Mika Milovana. “Mika” is the name of Pete Seeger’s eldest daughter and a name he had always loved, while “Milovana” means “a beloved woman” in the Czech language. Princess: Mr Baggins! That dragon has killed my father and all of my people. He has burned to ashes my golden land of Dale. Now he sits on our treasures and waits his time to strike other lands. Maybe even here. If you are all afraid, I shall go alone. I’m wondering if you didn’t get the joke! I certainly did. This film was not intended at all for any public screening – only the six people I dragooned off the street to witness it for contractual reasons. After this one screening, the print went right into Snyder’s cellar. Knowing that this was a so-called “trash” film, I decided to have as much fast & loose fun with it as possible. I was well aware it was not to be shown to Tolkien – (Heaven forbid!) or any serious viewer or critic. But finding it 50 years later, especially as the true Hobbit film is about to be released, we all counted on people today to realize it was a joke, and to take it that way. Your review is a little uptight, if you think I really would do this to The Hobbit if i was doing it for serious release.. Stay cool and take it as a historic artifact.- the first and worst Hobbit film eve made! We all knew exactly what we were doing. I appreciate that you took the time to come over here and comment on my review, Mr. Deitch, though I suspect you didn’t actually read all of it. I state more than once that you and your friends accomplished something very impressive, and that what you did took great talent. I take lighthearted jabs at the liberties you took with Tolkien’s story, but that is my writing style. I give The Hobbit my respect, both in my review and to the people I’ve told about the short.. I read and re-read your story and your responses to the comments people made on it, and I took great care to make sure that I got the details of your story correct, so that anyone reading this would keep those things in mind before judging your Hobbit short. You did what you had to do, and the fact that you put something together like this, which looks and sounds the way it does is incredible. Yeah, I know I certainly wouldn’t be able to put together a 12-minute The Hobbit. I’d be my own worst critic there. I just watched this short film on his website, and I loved it! Yes, I am also a Tolkien purist who threw a fit with every little deviation from the novels in Jackson’s trilogy (of course, I love those films anyway). If I thought the creater of this short film had unlimited time, money, and resources that resulted in this film I would probably have hated it. But to create this film in one month? It’s incredible how beautiful the illustrations are and how enjoyable the story is when knowing i was made from scratch in thirty days. If you forced me to condense the story of the Hobbit into twelve minutes while still including the Shire, the trolls, Gollum, the Ring, Mirkwood, and Smaug, while also adding a romance with a princess, I’d tell you it cannot be done. Well, Mr. Deitch did it, and he did it very well. I’m so thankful this film was not lost. Me too, Scott. I was really excited when I heard about it. Watching it is a such an interesting experience. I think it’s great that MRFH’s readers are looking at this as a major accomplishment, especially since I’ve read some pretty nasty things about it elsewhere.